The Undergraduate Research Conference is an annual conference where UC Davis students present their individual research projects under the supervision of faculty sponsors or law/medical professionals. Students in all academic fields, including STEM majors, social science majors, and art majors who conducted independent research are welcome to show their work. The goal of the conference is to encourage undergraduate students to pursue higher degrees after undergraduate and to conduct research in their discipline. When and where is the Undergraduate Research Conference? The Undergraduate Research Conference usually happens towards the end of April every school year. This year, the 29th Undergraduate Research Conference of 2018, will be on Friday April 27th from 3-7 PM (ARC Pavilion) and Saturday April 28th from 1-4:30 PM (Wellman Hall). The poster session and art exhibition are at the ARC Pavilion, and the oral presentations are at Wellman Hall. How can I show my work at the Undergraduate Research Conference? If you are interested in participating as a presenter, make sure to talk to your faculty research supervisor early and submit your abstract in February. There are three types of presentation. 1. Poster Presentation: a 60 minute poster session will be assigned to each presenter. The posters will be shown at the ARC Pavilion, while presenters stand next to them to give short talks and answer questions. UC Davis Undergraduate Research Center provides free poster printing before the conference. 2. Oral Session: each presenter will have a 15 minute oral session to introduce the research, including their research interest, hypothesis, methods, and results. PowerPoint slides are often used. 3. Art exhibition: The art exhibits are in the same area as the poster presentations. The exhibition allows students to showcase their research results in the form of studio art, design and multimedia. Do I have to present in the conference by myself? Can I do it with my research partner? Most students did their own independent projects and thus presented by themselves. If you happen to have a research partner collaborating on the same project, you will be able to present with them. Both students will have to sign up for the conference and submit the same abstract. Usually the group is not larger than 2 or 3, since the main focus of the conference is independent research. 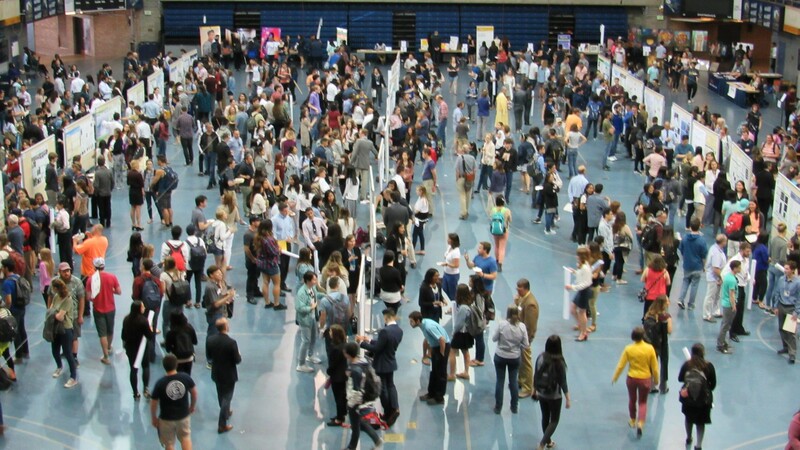 Why should I go to the Undergraduate Research Conference? I am not doing research now. First of all, the Undergraduate Research Conference is free for everyone! Second, it is a great chance to see what other students are doing and ask questions. If you have never done research before but interested, it is a good chance to ask how the students doing independent research find faculty supervisors, decide on research topics, etc. Also, since this is the largest research conference for undergraduates in UC Davis, you will be able to see more than 500 groups presenting on campus all in two days. 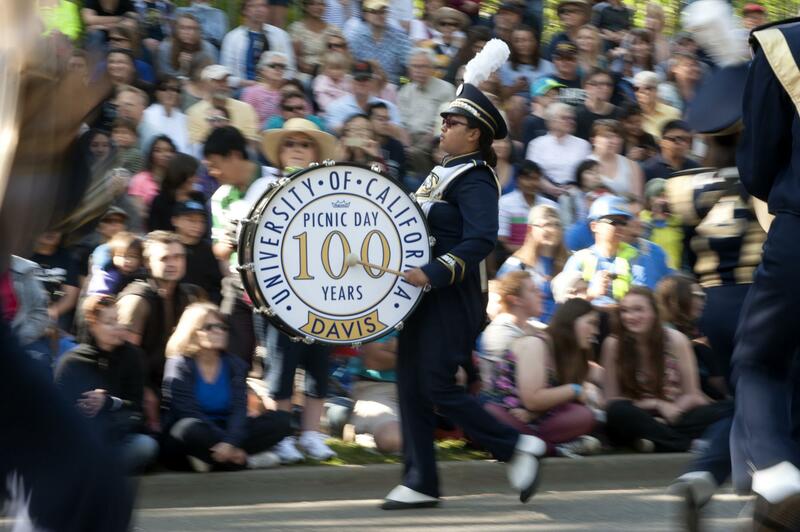 UC Davis is a research university, and according to a 2016 report, more than 40% of undergraduate students have participated in some kind of research. Speaking from my own experience, I will say that it is never too early, yet never too late (of course, not on the last day of your last quarter) to get involve in research as an undergraduate student in UC Davis. For first year students, many professors are willing to train younger students because they can stay in the research lab for longer. For upperclassmen, you already have background knowledge in the field and maybe know some laboratory techniques, so make use of that knowledge. You will be able to ask more in depth questions and get the grasp more quickly in research labs. I advise that students interested in research can start by looking at profiles of UC Davis professors, and email the professors who do research topics that you are interested in. Express your interest towards the field, and ask if they have undergraduate researcher openings in their labs. You can also looking for laboratory jobs and opportunities on Aggie Job Link, the Undergraduate Research Center (URC), and the Internship and Career Center (ICC). Sign up for the listserve of URC and ICC to receive weekly emails about new position openings. Read more about getting involved in research in “What Undergraduate Research Can Do For You“. 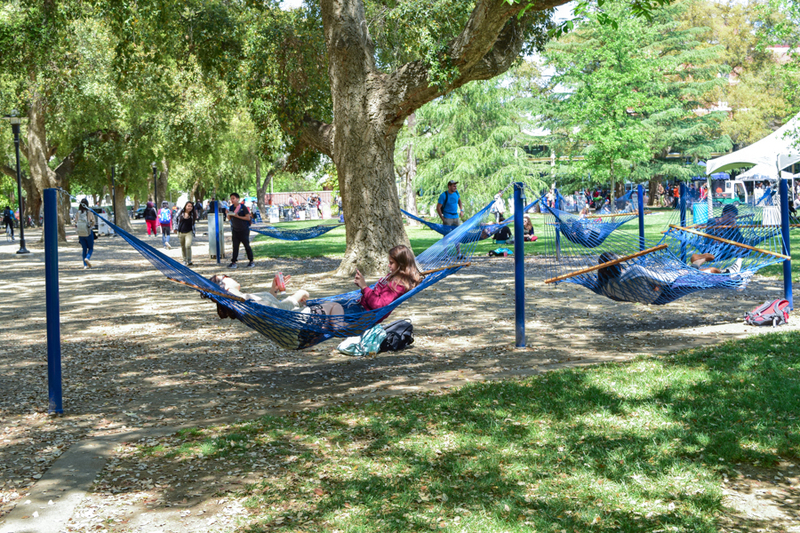 The UC Davis campus has a vast variety of campus resources readily available to students. One such resource is the Student Community Center (SCC) which provides academic services and other diverse organizations that create an all-inclusive environment for our students. Located in the center of the main UCD campus, the SCC is home to organizations such as: the Lesbian, Gay, Bisexual, Transgender, Queer, Intersex, Asexual Resource Center (LGBTQIARC), Student Recruitment and Retention Center (SRRC), Cross Cultural Center (CCC), McNair Scholars Program, Women’s Resources and Research Center (WRRC), AB540 and Undocumented Student Center, and Undergraduate Research Center (URC). The SCC also has a few meeting and study rooms available for reservations. LGBTQIA Resource Center– The LQBTQIA Resource Center is open to all students. One of the center’s main focuses is to provide students with resources in the areas of programming, advising, and education. There are many resources and programs available for student involvement as well as events throughout the year that anyone can attend. For example: LGBTQIARC hosts Wii Wednesdays and Crafternoons so stop by for some fun! The center is open Monday – Thursday, 10:00 AM – 6:00 PM and Fridays 9:00 AM to 5:00 PM; drop by for questions or if you simply need a place to study. Student Recruitment and Retention Center- The SRCC is a student resource center that stands for educational equity. Some services include peer mentoring, academic support, transfer student support, leadership development, and more. The SRCC also has great opportunities for students to get involved whether through their programs, events, volunteer and internship programs, or jobs. For example, are you a transfer student? If so you may wish to attend the SRRC’s weekly Transfer Hour every Wednesday from 2-4pm in their SCC conference room. Cross Cultural Center- Interested in learning about people? How about cultures other than your own? If so, pay a visit to the CCC. Like all other centers the CCC has programs and volunteer and job opportunities for students to get involved. 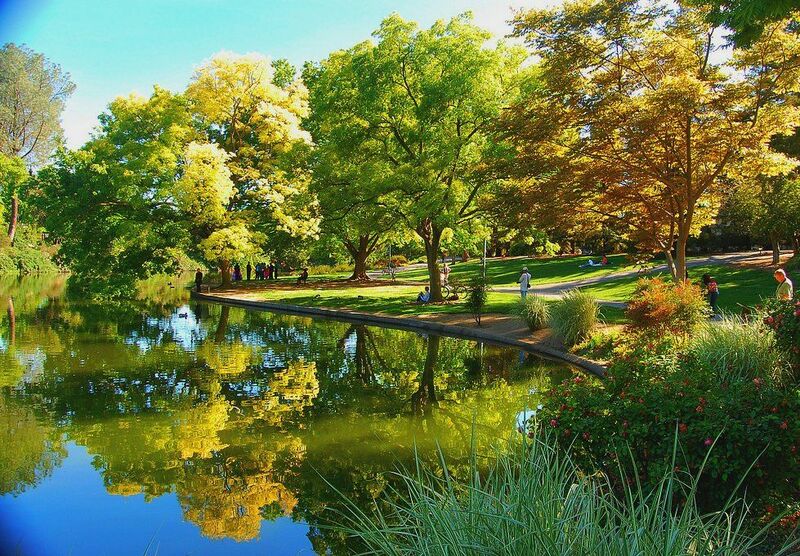 The CCC has a goal of creating a campus community in which all individuals share a harmonious environment free of sexism, racism, xenophobia, or any other form of oppression. One unique aspect of the CCC is the Culture Days that it puts together for communities within our campus. This is a time for students to express their culture to others and in turn learn about others’ culture as well. McNair Scholars Program- The McNair Scholar Program serves to encourage students in graduate programs from underrepresented backgrounds to pursue doctoral degrees. For more information visit the McNair Scholar Program website. Women’s Resources and Research Center- The WRRC works to promote gender equality through intersectional feminist approaches. This center welcomes people of all genders and provides all with a variety of involvement opportunities ranging from leadership program positions to gender research. The WRRC also provides students with an extensive list of resources that are essential for any situation in need of advise or involving distress. One unique aspect of the WRRC is their Joy Fergoda Library. 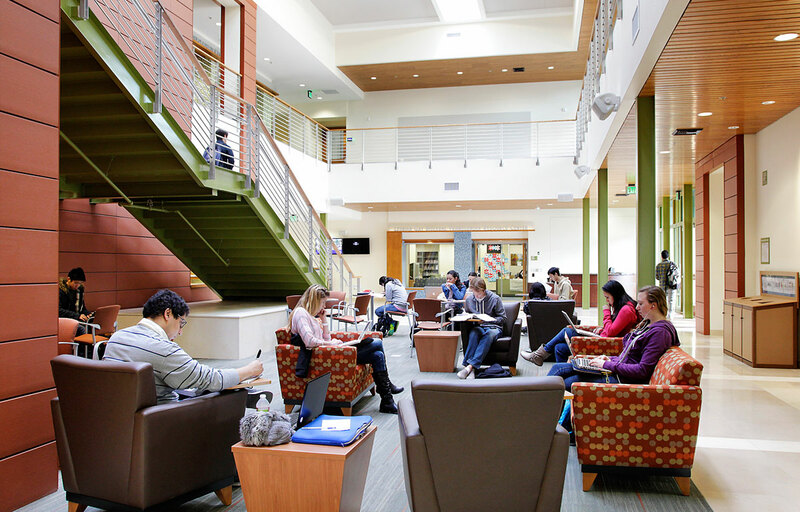 Located in North Hall, the Joy Fergoda Library houses over 12,000 books and films promoting feminist research and scholarship at UC Davis; a Forum on Disabilities Collection is also available. AB540 and Undocumented Student Center- This center seeks to help students reach their academic goals while helping students overcome any legal and financial obstacles. The goal of this center is to create a safe and welcoming environment in which resources like mentoring are available, and also academic guidance and financial opportunities. Undergraduate Research Center- Looking for research experience but do not know where to begin? Visiting the Undergraduate Research Center may be a good start. The URC works to help students develop skills necessary for research positions. It also provides students with resources needed to find research opportunities. Every year, the URC hosts an annual Undergraduate Research Conference where students are given the opportunity for present their research. For more information about programs, their Genius 5K run/walk, conference, and awards visit the Undergraduate Research Center website or visit the center on the second floor of the SCC. With its bright colors, murals, and lively environment, the SCC is an inviting place for students. Even studying becomes appealing with the comfortable chairs in the study lounge. The SCC is a convenient center which hosts what seems to be a plethora of resources located all in one area. Connected to the SCC there is also the CoHo South Cafe. Coffee + Resources + Study Area = Happy Students. Pay the SCC a visit; it is a great campus resource!